Wait! It’s almost time for school to start? I just simply can’t believe it! It’s August already, where has the summer gone? Of course this means school is about to start and of course my birthday is around the corner! Granted I’ve done the same thing I do during the school year doing the summer, I just like summer classes and summer work better, everything even Lansing is more laid back. This will be my last year at MSU, this is a bittersweet feeling. I’ve enjoyed my college experience to the fullest but I am ready to graduate and be part of the real world. I’m sure saying that is contradicting the entire purpose of this article because in the real world there are no summer vacations. I am aware of that, but I am just ready for change. Ready to make real money, have a real home, and just live a real life and I know all of these are easier said then done, but I am ready for the challenge. I keep telling myself I need a vacation before school starts but my family says, you just came from Japan, that was your vacation. No, I need something relaxing and enjoyable! Hopefully the couple trips I have planned for the last couple weeks of the summer come true! I’m completing my grad apps and have asked for my letters of recommendations. I’m going to the grad expo at Purdue. I’m ready for the future! 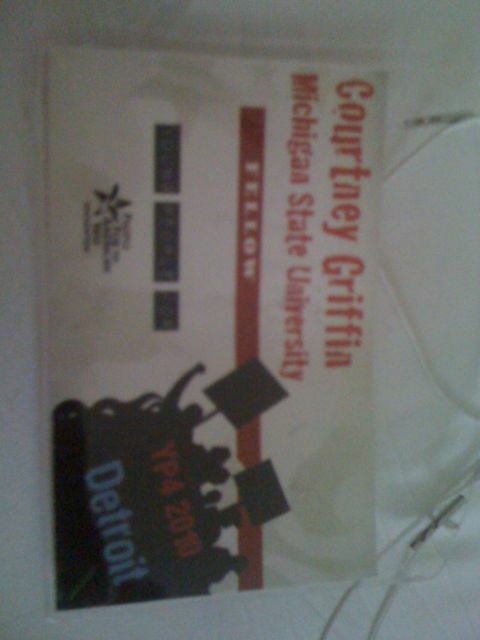 The Young People For fellowship is a group of like minded progressive students who want to make a difference. Myself along with 149 other students have been chosen from students from all over the country. This weekend the Midwest region met, I met 40 likeminded students who are working for change! I can honestly say there is not one student here, who I do not like. We have shared more here than most of us have with our childhood friends. We have learned about networking, our own personal self and even how to intiate our goals!! This has been an amazing weekend. I am excited to carry out my blueprint and work with all these wonderful influential people. This will be a proactive year, I have no doubt in my mind! It requires so much, I tend to do tons to keep myself busy. I work 2 jobs and I go to class. Now, that it’s the summer, I’m not doing that much. I’m trying to prepare myself for the future ahead, including graduation, graduate school and the professional world. I’m excitied to prepare for the future, just simply because I expect so much from myself. I’m especially excited for the Young People For Fellowship this weekend. I want to meet students outside of MSU who are open minded and looking for a change. Im preparing my graduate school applications and studying the GRE! Debating between staying in East Lansing or going else where. While at Keio University, we conducted our first survey. When the power point came up on the screen I was very concerned. There was link to survey and a little bar code like thing. The students then pulled out their phones, and started to take a picture, I was then, beyond confused. Shortly after, I realized that the bar code like thing is called QR code and it acts as the web address. All you have to do is take a picture of it and you will be taken to the website. I was stunned! I then started to see the QR code everywhere, like even on the menu at McDonalds. QR stands for Quick Response, because it can quickly be read by a cell phone. Being able to read the code from your phone is not a pricey special application or anything, it is already installed on most mobile phones. A QR code is very similar to bar code but is much more advanced (a 2 dimensional) . Bar codes in America can hold up to 20 characters, while the QR code can hold thousands. QR codes were started in Japan in 1994 and used for tracking parts by vehicle manufacturers. As with any technology, someone realized that this technology could also be used elsewhere and is now part of the mobile phone industry and is being used across the Middle East and Europe. It takes literally a second. Any phone with a camera on it can be used the only addition is the QR decoder software. Take out your phone, use the camera on your phone to take a picture of the bar code and it does not matter how close or far away you are from the code. Task complete, you can now, connect to a web address, download a MP3, dial a telephone number but just taking a picture. Amazing! Can we use them in the US? Oddly enough yes! The only dilemma is that American businesses do not use 2 dimensional bar codes. 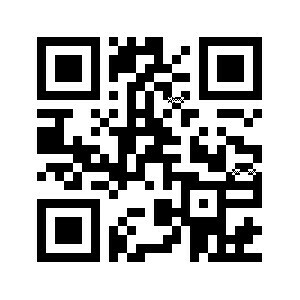 Android and iPhone users can download an application that will allow them to use their camera to read QR code. In 2008, San Fransisco tested the QR code system. A number of people were given a phone that was compatible and a few stores and restaurants put a QR code in the window of their establishment and people were able to use City Search to get reviews and more about the place before they went in. Last year, Google attempted to try again to get QR code more well known in the US. Different companies have began using it and Google has made it available on their smart phones. I am guessing they have not succeeded. Firefox too has attempted to make it more popular. They offer an add-on that can generate a 2D of a URL or a portion of the material on the site. Going to Japan I was super excited to shop. Before I left, I told myself I just wanted a pair of shoes and a purse. When I got to Japan I realized that task would be harder than expected. One thing that went in my favor in Japan is that I am short. The length of things was no problem. Sizing although brought up a entirely different concern. I am not the average Japanese girl size, majority of the items that I saw that I liked were One Size. One Size in America I can fit, in Japan not really. That was obstacle number 1. Obstacle number 2, was shoes. In America, I typically wear an 8, which is an average size. Japan shoe sizes, do not go by numbers, they go Small, Medium, Large and Large Large. Similar to T-shirts in America. Amazing right? Imagine how amazed I was to find out that my average 8 was a Large Large in Japan. Wow! My next question, which I never got an answer to was, people who wear over a size 8 in shoes… what do they do? This still remains a mystery.